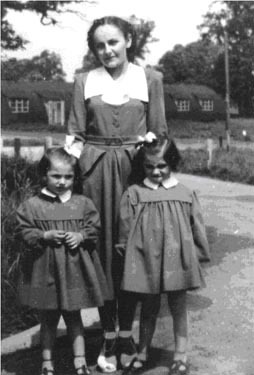 Elżbieta Narewska lived in Haydon Park Polish Camp for several years, this is her story of how her parents came to be in the camp. 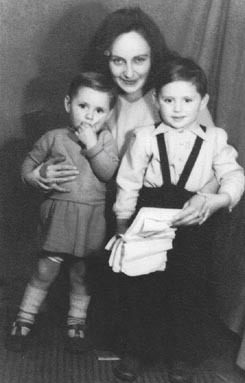 My mother was born in Lubartów in the district of Lublin, Poland on 30th June 1923. When Germany invaded Poland on 1st September 1939 she was only 16 years old and was attending a girl’s grammar school in Lublin. Soon all schools were closed by the Germans. They did allow one school to function in Lubartów, a school teaching commercial subjects at a vocational level, which she attended for one year from 1940-41. In December 1941 young people in Lubartów were being arrested by the Germans so she went to to live with an aunt in Warsaw at Nowy Świat 12. 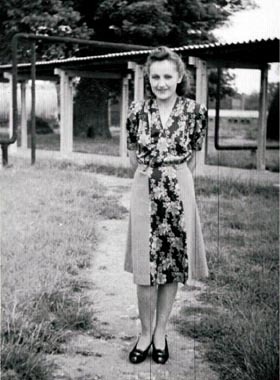 She found work at the Post Office Telephone Building as a clerk, at Ul. Ratuszowa, Praga. She obtained a Kennkarta document which was very important at that time. When the Warsaw Uprising began on the 1st August 1944, the Germans began arresting people and systematically burning the buildings. When the Germans forced their way into their home in Nowy Świat, they stole whatever they could find in the drawers and cupboards, then shouting “raus” they escorted my mother and the maid outside where the other residents from Nowy Świat 12 were already gathered, with their baggage, in the square . They were then taken, under German guard, to the Museum on the 3rd May Street. Our mother with “Bajka” the family dog, which stayed with her throughout the Warsaw Uprising, and another woman decided to run away and managed to hide for the night in a shed. The buildings in Nowy Świat were burned down by the Germans so she found refuge in Ul. Wilcza, the home of her cousin and his wife, who were both in the A.K. (Home Army). Next day she came across three men from the A.K. One was the battalion commander another was Ignacy Narewski. She felt very proud when she was accepted into the A.K. 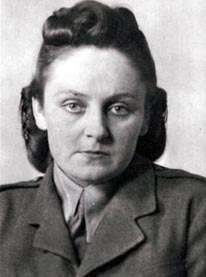 as a “łączniczka” (messenger) and given the pseudonym "Diana" in the “Miłosz” battalion. The battalion was fighting in the area of Plac Trzech Krzyży, Al. Ujazdowskie, Ul. 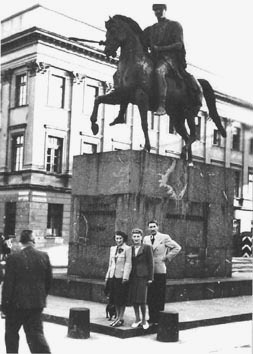 Książęca, in the centre of Warsaw where she had to run amongst the burning buildings carrying messages to the various units. One day she was hit by a bullet which hit her breast pocket where she kept her documents, which saved her life. As a young man in the 1930s he moved to Warsaw to seek work and lived before the war in the centre of Warsaw at Ul. Chmielna. During the occupation he was the manager of a café-restaurant at Aleje Ujazdowskie until the Germans took it over. He was in the Armia Krajowa (A.K.) 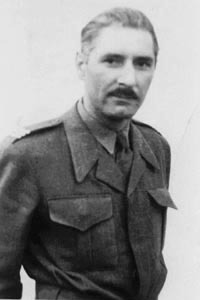 under the pseudonym “Nar” and fought in the Warsaw Uprising in the “Miłosz” Battalion commanded by kpt. Franciszek Miszczak, pseudonym “Reda”, fighting in the centre of Warsaw. Together with my mother they survived heavy battles until the capitulation of Warsaw on 2nd October 1944. Under the terms of the surrender they marched in formation with other Home Army units out of Al. 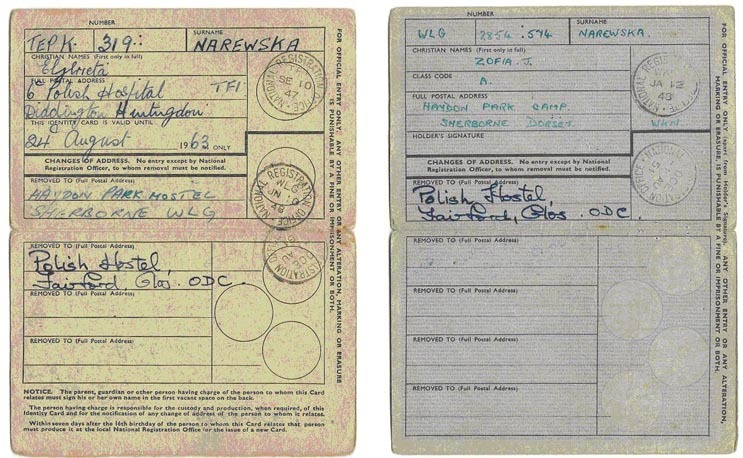 Ujazdowskie and out of Warsaw for their journey to P.O.W. Camps. My mother went through Pruszkow Transit Camp. We learned recently that on leaving Warsaw she was very ill with a high fever and eventually she was put on a lorry with the sick and injured, as she was unable to walk any further. My father left from Ożarow where the A.K. P.O.Ws. were originally taken after capitulation. They were put on cattle trains to P.O.W. Camps in Germany. Luck had it that they ended up in the same camp, Sandbostel Stalag XB which was near Bremervorde in north-west Germany. It was a large camp for male P.O.Ws. of all nationalities. 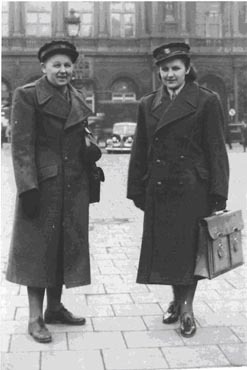 525 Polish women from the Uprising were taken there as well, of which 84 were of officer rank. My parents passed letters and notes through the barbed wire fence that separated them, they were also able to see one another by the fence. On 1st January 1945 our father proposed to our mother. He wrote to the Commander of the camp for permission for the wedding which took place in the afternoon on the 7th January 1945. The wedding ceremony was performed by Father Stanisław Kamiński, also a prisoner of war, and it took place in one of the barracks in front of the altar of the Divine Mother of Czestochowa. 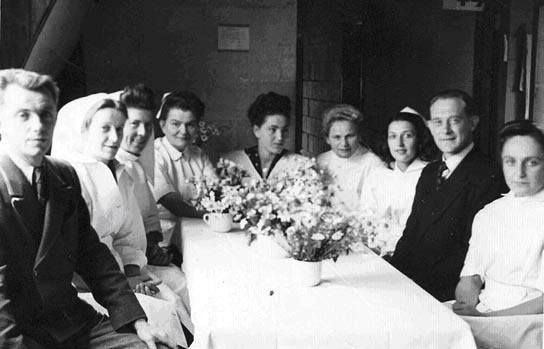 The choir of Polish P.O.Ws., who had been in the camp since 1939, sang and some 21 A.K. colleagues were also present. The ceremony was followed by a modest lunch for 30 people. Afterwards, under military guard, they proceeded to the barrack of my father’s battalion where they were greeted with bread and salt. After a moving speech by one of the officers they were given souvenir letters and a silver plate with their KGF numbers and date of the wedding. This was followed by a very modest supper. The tables were covered with white sheets and their friends had saved their morning ration of bread, sugar and marmalade so they could share their supper. Some 240 of their colleagues were present and sang “Sto Lat" for the newly weds. After this reception my mother and her friends were escorted back to the barbed wire fence to return to the female barracks. In February 1945, my mother was transferred to another camp, Oberlangen, Stalag VIC, near the Dutch border, where all women from the A.K. who took part in the Warsaw Uprising were held. There were 1,725 of them including some children. A few babies were born in the camp. It was the only female P.O.W. Camp in occupied Europe. Conditions were hard. On 12th April 1945 the camp was freed by gen. Maczek’s 1st Armoured Division fighting alongside the British Army. Imagine the joy and tears when the women realized that the men in British uniforms were Polish! The camp was visited next day by gen. Maczek, and later by gen. “Bór” Komorowski who had been commander of the Home Army. My father was moved to a camp at Westertimmke a few days before it too was freed by the 1st Armoured Division on the 28th April 1945. 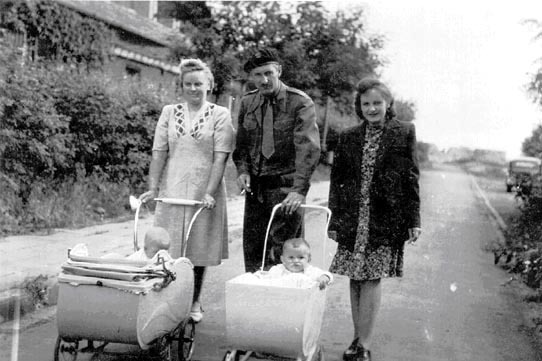 Just before our mother’s nameday on the 15th May 1945, our father arrived at Oberlangen where they could be together again. Soon after, they enlisted in the army and were posted to Meppen, renamed by the Poles as Maczków, where the headquarters of the 1st Polish Armoured Division was located. My sister Marysia was born there in July 1946. 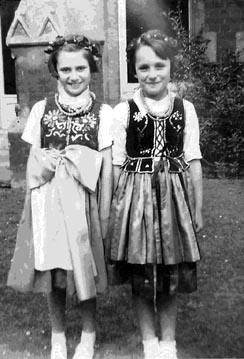 Our parents decided not to return to a Soviet dominated Poland and came to England with the Polish Resettlement Corps in August 1947 by ship from Hamburg to Clyde Port. They were taken to Haydon Park, Polish Camp in Dorset, near Sherborne. The camp, consisting of Nissen huts, was built during the war as an American Army hospital but was now being used by the National Assistance Board for housing Displaced People. At this time my mother was in her 7th month of pregnancy. Soon after, she was taken to the hospital in Diddington Polish Camp, Huntingtonshire, where I was born on the 24th August 1947. 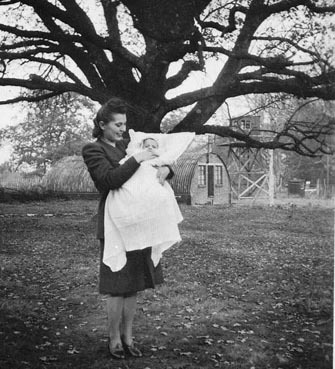 The conditions at the maternity hospital were very basic and she soon returned to her family at Haydon Park. 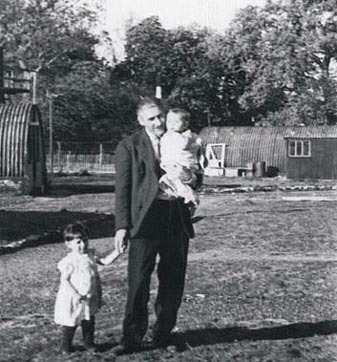 In 1948 our father left us in Haydon Park Camp and went to London to look for work, unfortunately they separated. 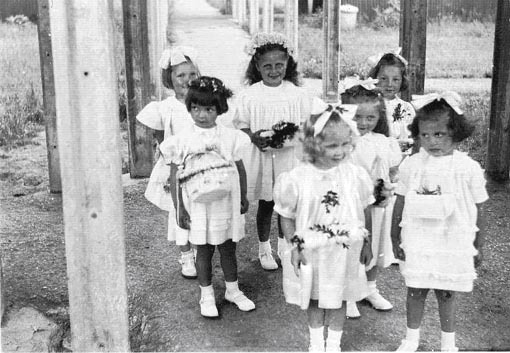 Our mother began work at the camp Nursery where she was able to look after us as well. I was christened in Haydon Park by Father Alojzy Finc, the camp's Polish priest. My godmother, Jadwiga Szczepaniak Plut. Podchorąży (cpl. Off. 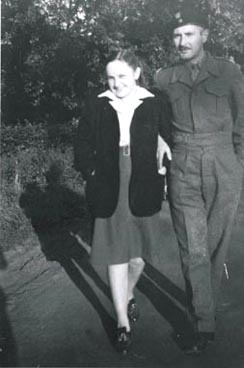 Cadet) A.K., took part in the Warsaw Uprising and was present at my parents wedding in Sandbostel P.O.W. Camp. She later emigrated to Argentina. 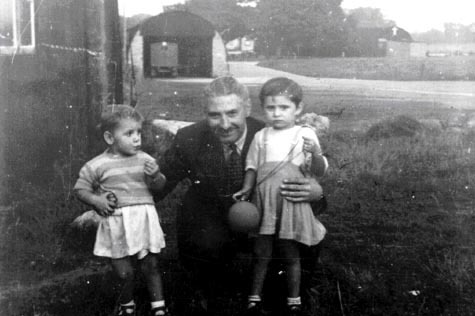 My godfather, Tadeusz Gontarek, was also a Home Army soldier in the Uprising and prisoner in Sandbostel Stalag XB. He married an English girl and they settled in Birmingham. 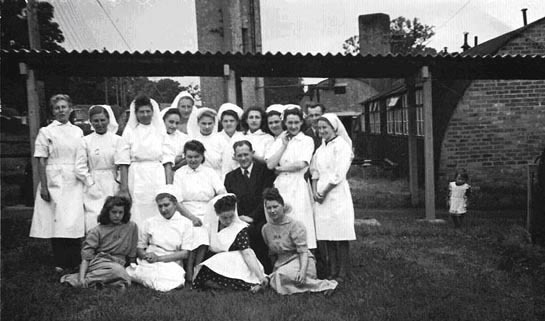 In June 1951 we were transferred to Fairford Hostel Gloucestershire which had also been used as an army hospital during the war and had similar accommodation to that in Haydon Park. 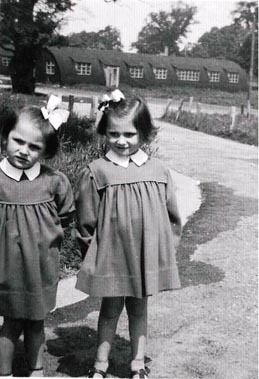 Our mother continued working at the nursery until 1952 when the nursery was closed as part of the run down of special health provision for Displaced Persons. Finding herself without a job she had to rethink her future. She heard about a Polish Boarding School for young children at Shephalbury Manor School, Nr. Stevenage in Hertfordshire, and arranged for my sister and me, 5 and 4 years old, to go there while she began to study for a nursing career at the nearby Lister Hospital in Hitchin. She qualified as a State Registered Nurse in 1955, working and living in nurses’ accommodation next to the hospital. We continued our life at Shephalbury School, where there were about 100 boys and girls. All lessons were in Polish. We had our first communion at the school. On leaving the school we spoke no English. When the school closed in 1957 we started a new life with our mother in Highgate, North London, where she rented rooms in a Polish owned house. 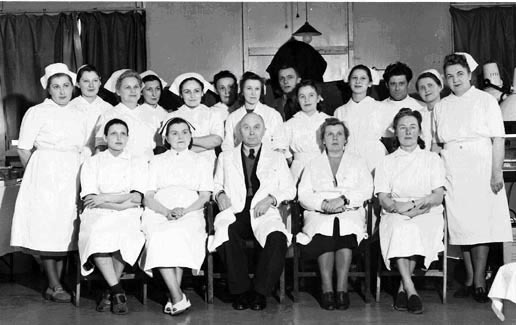 She began a new job at H.M. Prison Hospital, Holloway, where she worked in a senior position until her retirement. We attended Mass at St.Joseph’s Church in Highgate where my mother recognized Father Finc who had christened me in Haydon Park. Soon after there was a regular Polish Mass at the church, a Polish Saturday school, scouts and other events in which the Polish community took part. Soon Father Finc became part of our extended family and in 1983 christened my son. We attended a private convent day school run by English and French nuns. In 1959 we moved to a very large flat in an Edwardian house in Muswell Hill, North London. Eventually in 1968 our mother was able to buy her own house which meant so much to her after being homeless and living in camps for 8 years. Father Alojzy Finc came to England with the Polish 2 corps were he served as army Chaplain. He was first in Haydon Park, when that camp closed he was sent to Lubenham Market Harborough Polish camp and later the Polish Parish Church and Community in St. Joseph’s Church, Highgate, London. 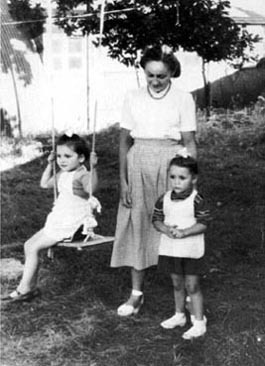 In 1963 we visited Poland with our mother for the first time. The journey was by train. 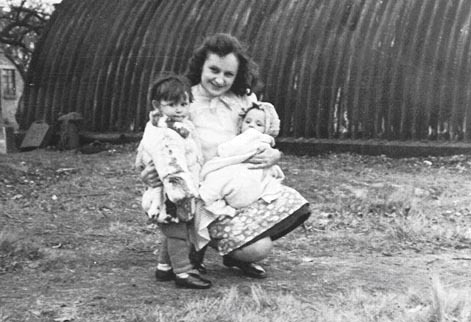 She had not seen her family since 1944. It was a very moving experience for her to see her parents, brother and rest of the family after 18 years. For me and my sister we only knew Poland on a map, its history and the language. It seemed strange to be surrounded by everything Polish and to meet our close relatives whom we only knew from photographs. It was sad not to have any family in England; we were also denied this as we were growing up. It was wonderful to see Warsaw rebuilt, after the tragic scenes still in her memory from1944, the buildings in Nowy Świat were replaced in 1953 by the large Communist Party Building. One wonders how different life would have been for our parents and our generation had the “Big Three”, Churchill, Roosevelt and Stalin decided not to hand over Poland to the Soviets and our parents had been able to return to a free Poland after the Second World War. When Communism fell in 1989, it was too late for most of the exiles to return to their homeland. Many of them were never to see their families or Poland again. Our mother achieved so much in a foreign country, though the journey was a long and difficult one. She received the British War Medal in 1947, the Warsaw Uprising Medal in 1967 and the silver medal from Skarb Narodowy R.P. in 1989, of which we are very proud. Our father lived in London. He died in 1973. Our mother died on Easter Saturday in March 1997. Their lives ended in the same hospital in the centre of London. In September 2010, my sister and I visited Germany, the areas of the P.O.W. 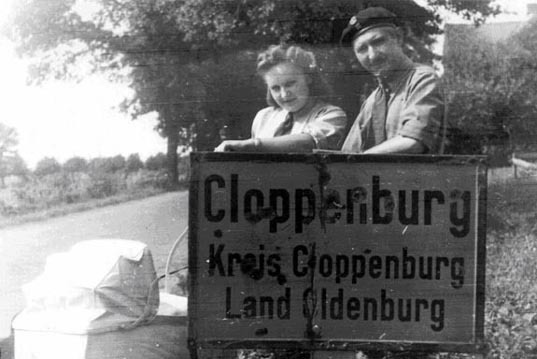 Camps where our parents were held during the war. Sandbostel Stalag XB, where they were married, is now a museum and memorial site. We were met at Bremervorde rail station by one of the historians from the Sandbostel Foundation who drove us along the route our parents and other prisoners had to walk to the camp in 1944, which was 10 kilometers away. In Sandbostel camp we were met by the Director, who gave us information on the life and conditions in the camp during the war, showing us the inside of the barracks, bath huts and kitchens. Barrack No. 90 where our mother and the other Polish women were held was gone as was the barrack where our father’s battalion was held, but we stood on that spot. In one of the huts there was an exhibit of the Polish P.O.W’s. There was a photograph of the altar of the Divine Mother of Czestochowa, next to which was an article from the Times 1966 about our parents’ marriage in Sandbostel. What a surprise! We had this newspaper. We visited the cemetery next to the camp which was set in a beautiful forest, there was a big cross in the Polish section, on most of the soldiers’ graves it was written “Name not known”. It was difficult for us to imagine our parents had to endure such a sad place and were married in such diverse circumstances. We took with us copies of documents, letters, notes from our parents wedding and time in the camp. A few days later an article was written in a German newspaper about our visit and our parents under the title “Polish Wedding in Stalag XB”. We also visited the small town of Meppen. In September 2010, my sister’s son brought back from Poland letters our parents had written in 1945 – 1947 from Germany to our maternal grandmother. In one, our father writes a long detailed description of their wedding in Stalag XB. After 65 years it was wonderful to get this information. The female P.O.W. Camp in Oberlangen, near the Dutch border, only had a memorial and a cemetery. During the war it was in an area of bog and marshland, now it is surrounded by trees and pretty fields. On arriving at Lathen Station, we imagined our mother and the rest of the women having to walk so many miles to the camp, it was February, so very cold, they must have also been extremely hungry. We have our parents' A.K. Armia Krajowa documents, our mother’s armband which she wore during the Warsaw Uprising and their KGF metal tags from the Prisoner of War Camp. In a small brown suitcase, which we found after our father’s death, are all the written wedding documents, letters and notes, with signatures of A.K. colleagues, from their time in Sandbostel Stalag XB. We have taken copies of these to the Uprising Museum in Warsaw. Our parents told us very little about their experiences during the war, it was after our mother s’ death that we found the documents, letters and articles from which we learned more about their lives at that time. What a pity, there is so much one would have liked to have asked about these events in their lives, which have become such an important part of Polish history.